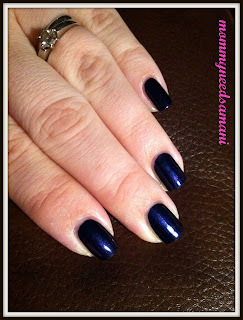 This was my Packer mani for the weekend. Unfortunately we did NOT win so the season is over. boohoo. The picture quality is blah cuz I misplaced my camera. Chloe and I are doing a mother-daughter breakfast and maybe some shopping. If we do make it to the mall I'll be in search of the Butter London Spring/Summer 2012 line. I love all of them. More specifically I want Disco Biscuit!!! Russian Navy, a classic choice! 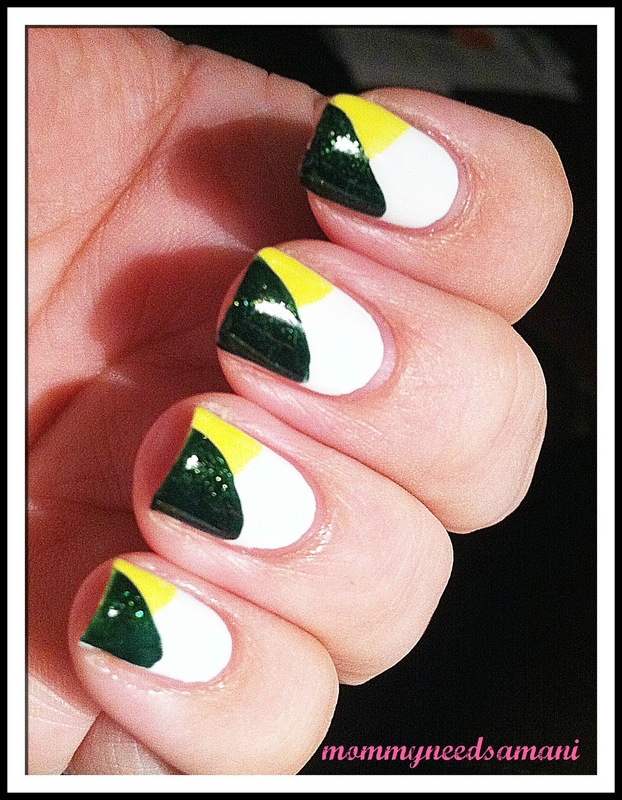 LOVE your Packer mani, too!